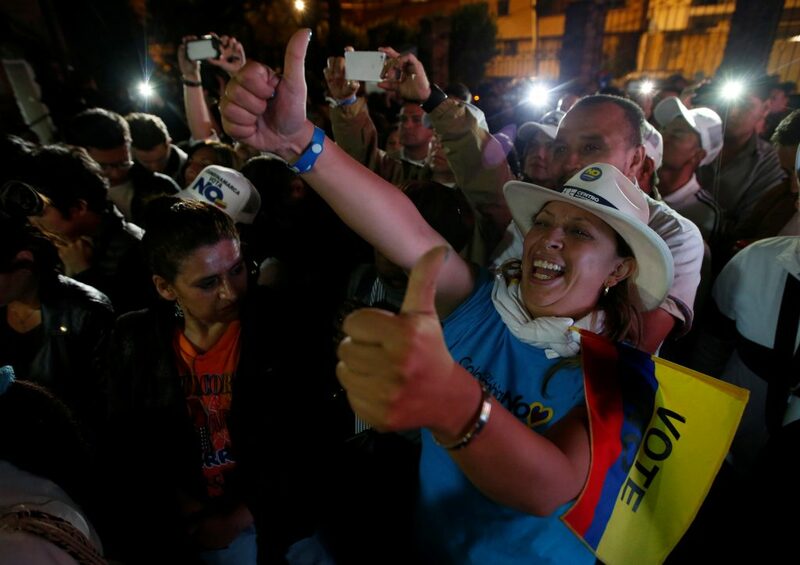 In a surprise vote, Colombian voters rejected a monumental peace deal with the FARC rebels Sunday. The BBC reported that 50.2 percent of Colombians voted against the measure that would have ended a 52-year civil war that has claimed more than 220,000 lives. Colombian president Juan Manuel Santos and FARC leader Timoleon Jimenez signed the peace deal last week, but in order to be ratified, Colombian voters had to approve the deal in a popular vote. “No” voters, led by former President Alvaro Uribe, said the peace deal was too lenient on former guerilla fighters, who could receive amnesty or reduced sentences for crimes committed during the war in a special courts system. Uribe also said the deal needed “corrections,” including a provision that offered more compensation to the victims of the conflict, BBC reported. In a televised address, President Santos said he would leave the ceasefire between the Colombian government and members of the Revolutionary Armed Forces of Colombia (FARC) in place. “I won’t give up. I’ll continue search for peace until the last moment of my mandate,” he said. The peace deal came together after four years of negotiation. FARC leader Jimenez, better known as Timochenko, said that the leftist rebel group will continue to work toward peace as well.